With high-tech innovation at its very core, the all-new Audi S4 Saloon is changing the redefining standards you expect from a compact executive saloon. 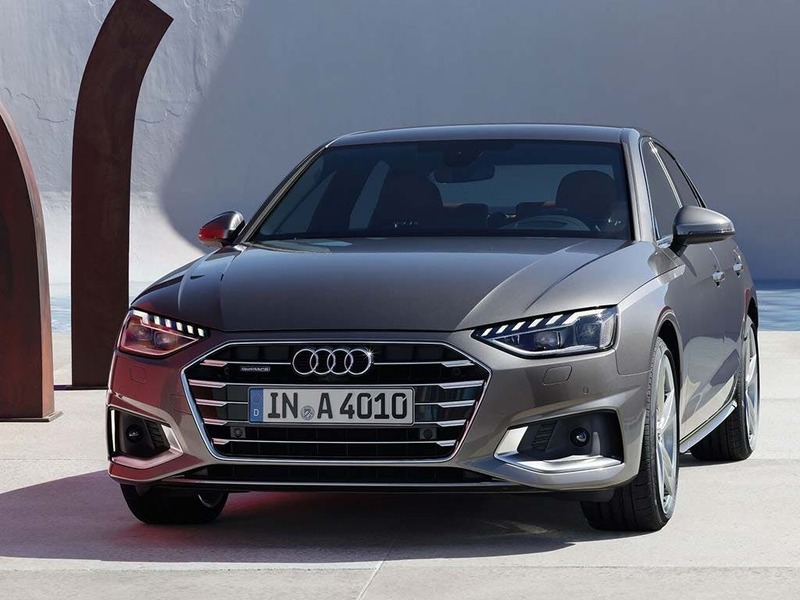 Restyled to be sleeker, redesigned to feel sharper, the all-new Audi A4 Saloon is an insight into the future of Audi with exceptional levels of technology as standard. To experience such beauty in motion, visit your local Audi dealership in Essex, Hertfordshire and London to test drive the new Audi A4 Saloon. 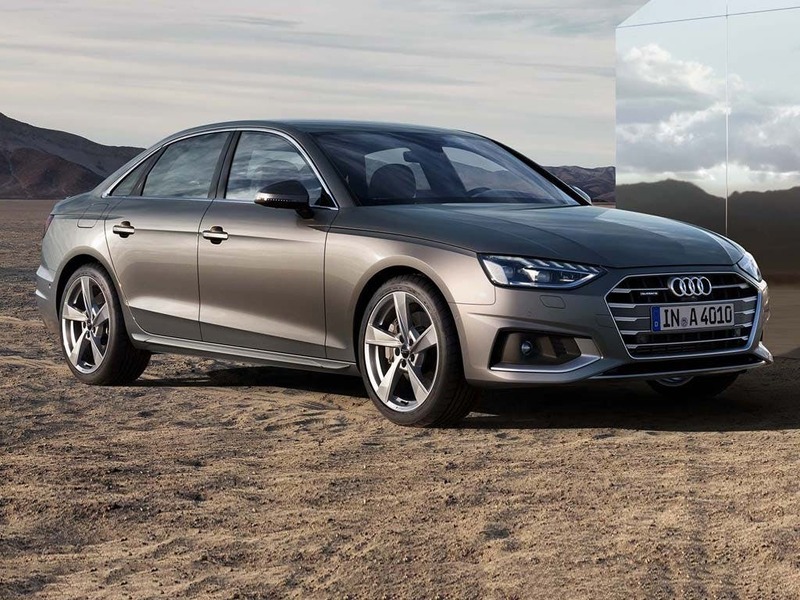 Discover all the latest Audi A4 Saloon offers currently available. Every detail matters, view the Audi A4 Saloon technical specification. 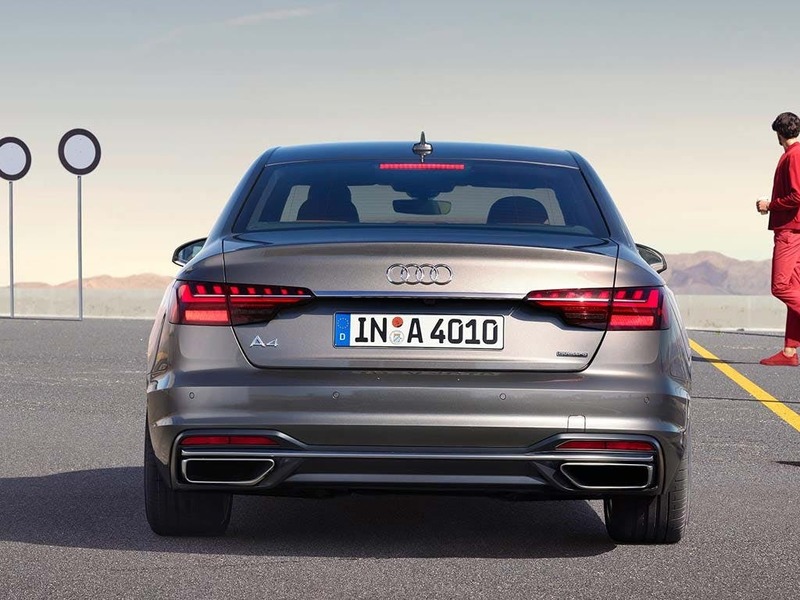 Download the latest A4 Saloon brochure. Style and comfort come together to create the luxurious interior of the new Audi A4 Saloon. Sit back and enjoy the ride in comfortable Cosinus cloth or relish in soft-touch leather of models higher up the range. An interior chrome package comes as standard, adding inlays to the doors, dashboard, instrument panel and centre console. 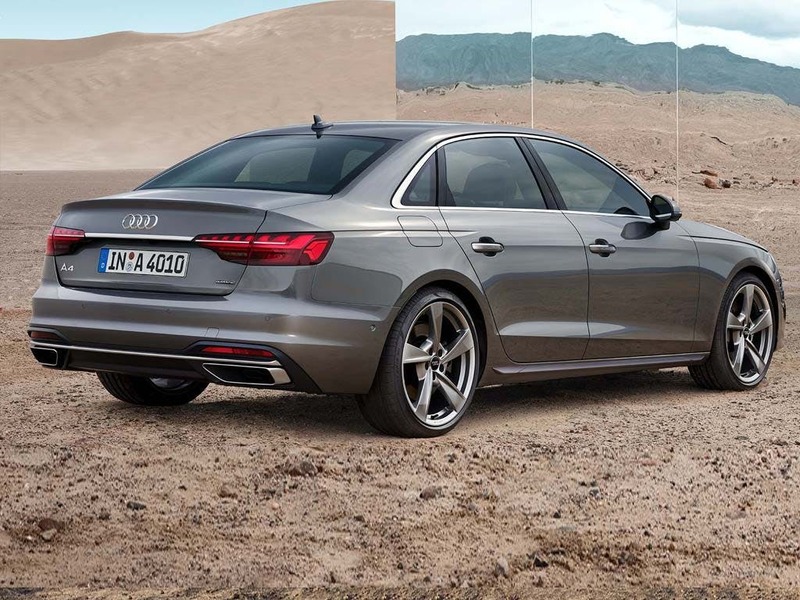 Complemented by protected aluminium door sill trims, the new Audi S4 Saloon is luxury of the highest Audi standard. 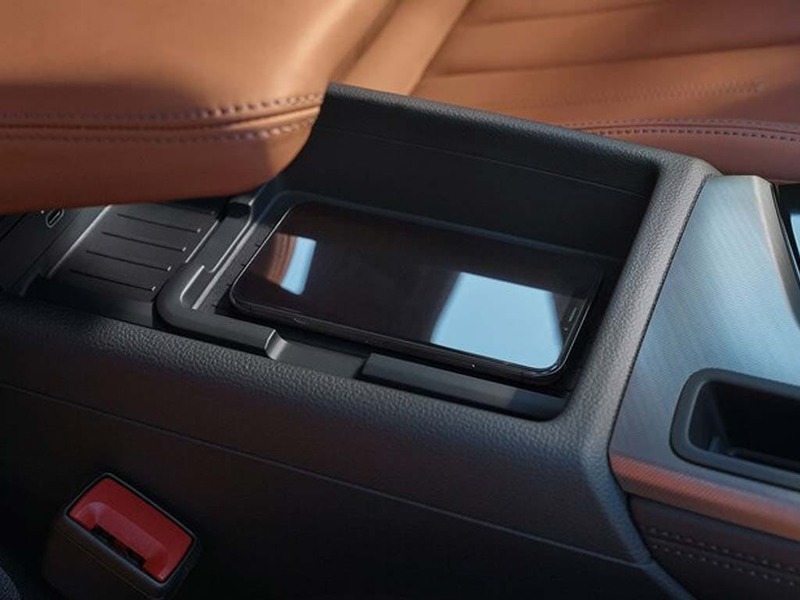 There’s no shortage of storage space in the new Audi A4 Saloon. With a large amount of head, leg and elbow room for all passengers, the A4 Saloon’s generous dimensions provide enough space for a comfortable ride, no matter where your journey takes you. The new Audi A4 Saloon come with the less common 40:20:40 split seat design, allowing for more space within the cabin. If that’s not enough, there’s an incredible 965 litres of boot space, big enough for even the largest of suitcases. 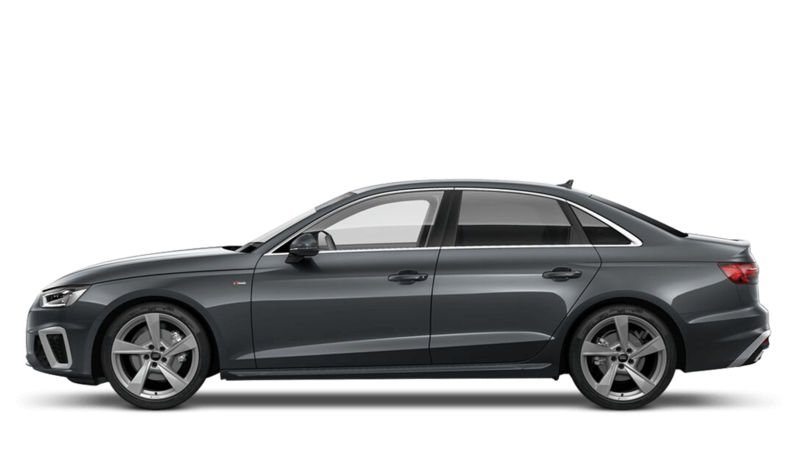 With eleven engine types to choose from, you are guaranteed to find the perfect performance in the new Audi A4 Saloon. There is an excellent choice of TFSI petrol engines and TDI diesel engines which, in spite of being more powerful than before, also offer up to a 21% reduction in fuel consumption. The 3.0-litre 272bhp diesel engine is the most muscular unit and, with S tronic transmission, is also satisfyingly frugal with a combined fuel economy of 55.4mpg. If green motoring is a priority, the ultra engine emits a superb 102g/km of CO2. 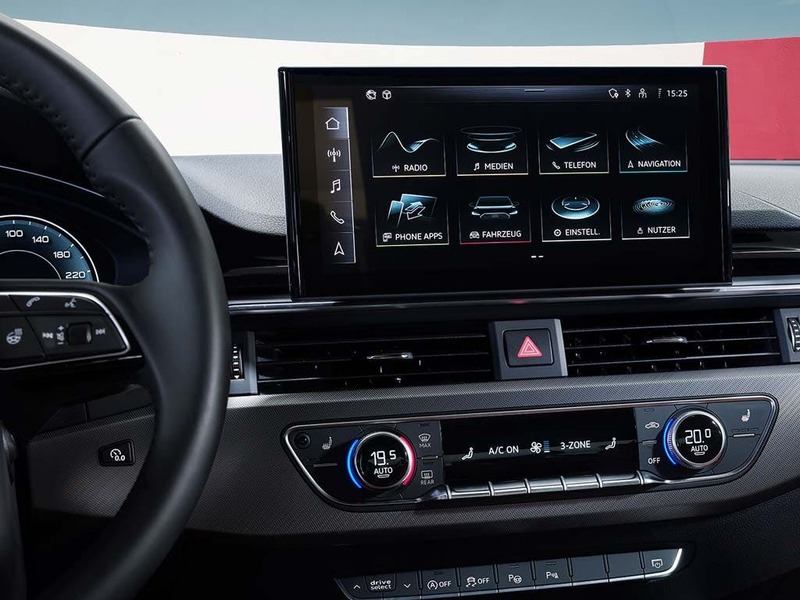 Boosted by the inclusion of cutting-edge technology, the environment inside the new Audi A4 Saloon adds greater satisfaction to every journey. 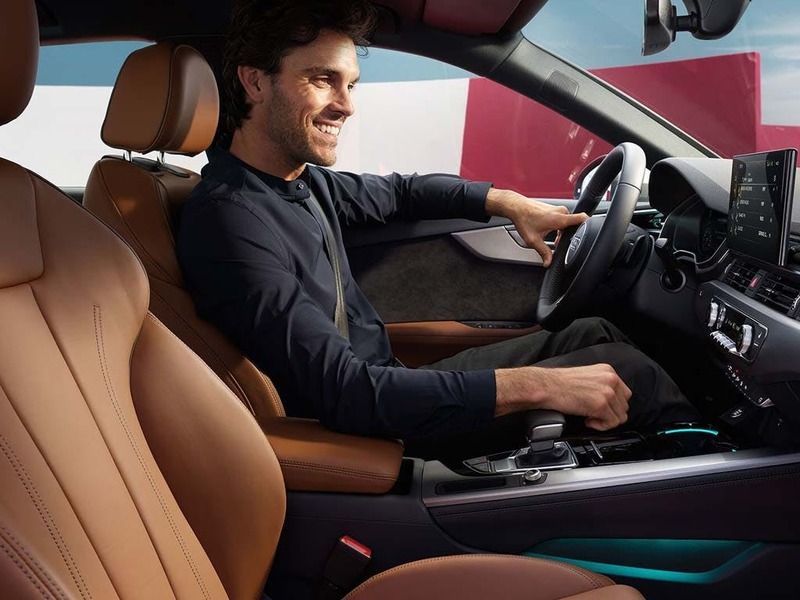 The Audi Concert radio is joined by a DAB digital radio and crisp sound is amplified through the ten-speaker system with a subwoofer. Telephone calls can be received hands-free via the Bluetooth® interface and the Driver's Information System (DIS) keeps you informed with journey details and vehicle statistics. 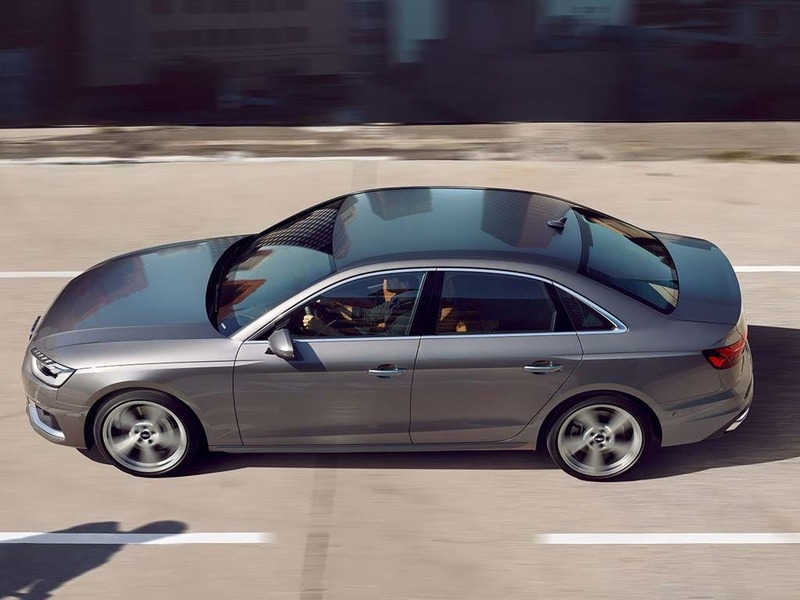 Experience the new Audi A4 Saloon for yourself and take it for a spin. 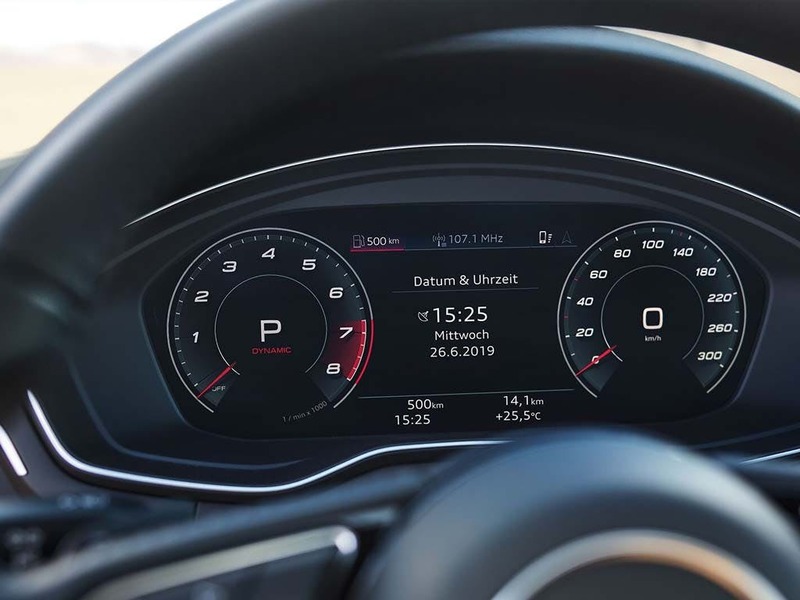 Visit your local Audi dealership in Colchester, Chelmsford, Chingford, Finchley Road, Harold Wood, Hatfield, Stansted, Southend, Whetstone and Watford for a test drive. of customers that bought an Audi A4 Saloon would recommend to their friends and family. Watford Audi were really helpful and I'd recommend them because they made the purchase of my vehicle a pleasant experience and took care of everything for me. Audi Approved Colchester were really helpful and I'd recommend them because even though my new vehicle had a major mechanical problem, how they handled this was exemplary! The general feel of the dealership is very professional. I must compliment them for righting the wrong in such a professional, prompt, and satisfactory manner. I commend them for this. Myself and my guests during the two visits I made to the dealership all noticed their professional attire, and it was much appreciated. The cleanliness as well. A well polished staff and facility which tells you a lot about a business. My experience at Stansted Audi could have been better because I paid a deposit for 2 cars and was told that I would receive the refund of this when I picked up the first car. This did not happen but was not told about this. Then when picked up second car still no refund as previously promised. Accounts processed the refund 3 days after picking up the first car. The finance manager and the sales rep both originally confirmed that I would get a refund when picking up first car. No communication was made to advise that this had not happened. Philip was an absolute pleasure to deal with, and made the entire process as smooth as possible from start to finish. I'd recommend Cingford Audi to friends and colleagues without hesitation. Always get your offer in writing and read your paperwork thoroughly even if you've agreed on a price. Staff was very helpful and the dealership had a great choice of cars within their network. Mr. Tom Bateson he arranged for us everything. All paperwork . The experience at Whetstone Audi was good because they had the exact car I was looking for within my price range. Whilst I had to drive 160 miles each way to collect, my salesman Santo was brilliant in spending time taking photos and video whilst explaining the condition and options on the car. He also helped with getting the paperwork done online so on day of collection I just had to pick up the keys and drive away. First class service! Hatfield Audi were great because of the excellent level of service and attention to detail. I'd recommend Stansted Audi to anyone because I have never purchased a car from a dealer before always buying privately.I was extremely satisfied with the excellent service given to me from test drive to final purchase of the car.The sales excec Gina Booth backed up by Mark Jones was very professional and provided all the information. Stansted Audi were helpful because of thier stance towards service, it being superior to any mainstream dealership. Explore the A4 Saloon specifications.